Unless you’ve experienced the pain of sciatica, which starts in the lower back and can travel through to the buttocks and behind the knee, you may not know what a sacroiliac joint is (SI). On each side of your body, your large hip bone (ilium) is connected to the bottom of your spine (sacrum) by these joints. Trauma, improper gait when walking and twisting the groin area when lifting are just some causes of pain in the SI joints, which can cause sciatica or other low back pain. This can be quite debilitating. In a recent study comparing the benefits of three forms of care for SI joint pain, chiropractic adjustments rose to the top with 72 percent of patients reporting significant relief. Chiropractic care for joint pain came ahead of both physical therapy and corticosteroid injections. 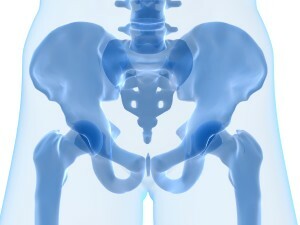 There are many ways chiropractors can adjust the sacroiliac joint. In some methods, you might hear a “popping noise” (as the joint releases a buildup of oxygen, nitrogen and carbon dioxide). Other techniques also get the job done without the resulting “click”. Just talk with your chiropractor if this is a concern with you. Since studies to date have shown chiropractic adjustments to be highly effective at reducing SI joint pain, it is highly recommended that chiropractic care be the first choice for patients. After all, it’s non-invasive and drug free and there are no side effects. The bottom line in chiropractic care – if you’re alive and have nerve interference, you’re better off alive without the nerve interference. Affordable chiropractic care should be available to everyone and Chiropractic Lifecare of America wants to help. Please call 800.775.7900, or contact us to learn how you can save up to 50 percent on quality chiropractic care.